The county cookery competition was held on the 27th May at Mortgrove Farm by kind permission of the Shaw family. 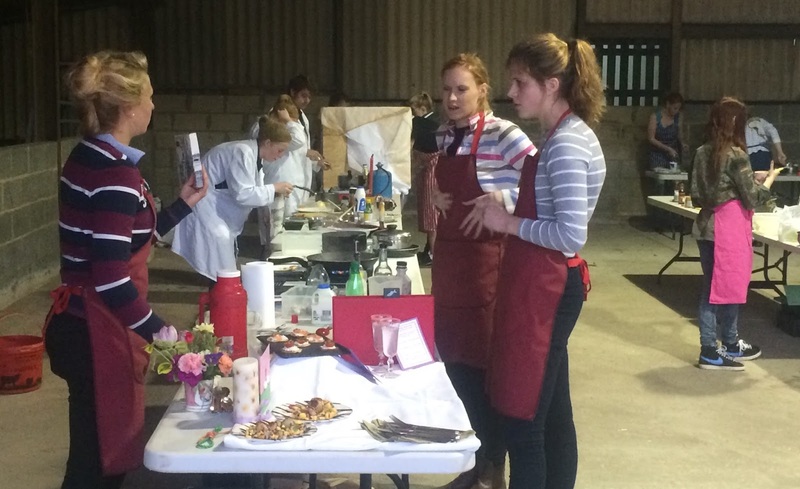 Their were the highest number of teams entered in the competition for a few years, with eight teams competing to win a place to compete in the NFYFC cookery finals which will be held at the Malvern Show in September. Members had to prepare and cook a meal for a family occasion in one hour on two gas stoves. The members were judged on numerous things including tidiness and hygiene, teamwork, presentation and taste. Judges Angela and Lizzie Spiers had the hard job of tasting all course of all eight teams. The Young Farmers organisation is for young people between the ages of 10-26 with an interest in the countryside. Though you definitely do not have to be a farmer to be a member of one of our clubs. Bedfordshire YFC is one of many counties through out the UK that has clubs, currently we have over 400 members in 7 clubs.